As part of Electro-Federation Canada (EFC)’s 2015 scholarship program, Graybar Canada is offering a $3,500 award of excellence scholarship. Engaging university and college students is critical in our industry, says Joris Myny, Chair of Electro-Federation Canada (EFC)’s scholarship program and a senior vice president of Siemens Canada Limited. Myny describes the scholarship program as more than funding students. “It is an opportunity to promote our industry in every Canadian university and college and showcase the electrical industry as a viable career choice in Engineering, Sales, Marketing, Finance, Management, Operations, Information Technology and Human Resources. The Graybar Canada Award of Excellence Scholarship will be granted to a student who has completed their first year of post-secondary education in either a business program, general arts, IT or a discipline related to the electrical industry and have maintained a minimum cumulative average of at least 80%.The successful applicant will also have demonstrated a passion for community service with a clear vision towards their future. The winning applicant will also be given consideration for either a permanent or summer employment position with Graybar Canada. 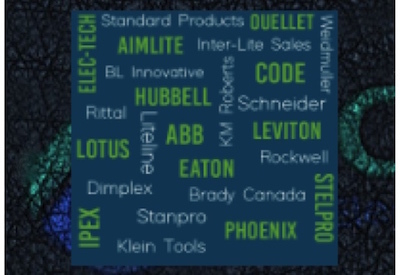 Graybar Canada, an employee-owned company, is a wholesale distributor for thousands of items from leading manufacturers of electrical and communications and data products. Graybar Canada operates over 30 locations across the country. We are proud to support those students in their quest for higher education! For more information, visit www.graybarcanada.com.